At Firefly, we make it a priority to support causes that make an impact on our community and in our hearts. As process servers, we don’t really get the opportunity to deal with good news. So, we do our best to engage in efforts that bring people up, encourage, and educated. From last years’ Firefly Run and school supply drive to our recent animal shelter supply drive (among many other efforts), we have made it a point to give back to our community in any way we can and as often as we can. Find an excuse to smile every day. This month for our philanthropic effort, we’re going to do something a little bit different. We’re going to apply “capture and reward knowledge” outside the scope of civil process service and make it the driving force for our campaign to get involved with a special cause. September is the designated month for two causes that are very close to two of Firefly’s employees: ovarian cancer and childhood cancer. Be sure to check out our social media sites and our blog to stay updated and educated. In the meantime, you can learn more about this organizations on your own through the American Childhood Cancer Organization and through the National Ovarian Cancer Coalition. We hope that you can join us and help spread the word to your friends and family, too. Firefly tries to take part in some type of community service effort on a quarterly basis because it’s important to us that we’re investing in and truly serving our community (…and not just papers). 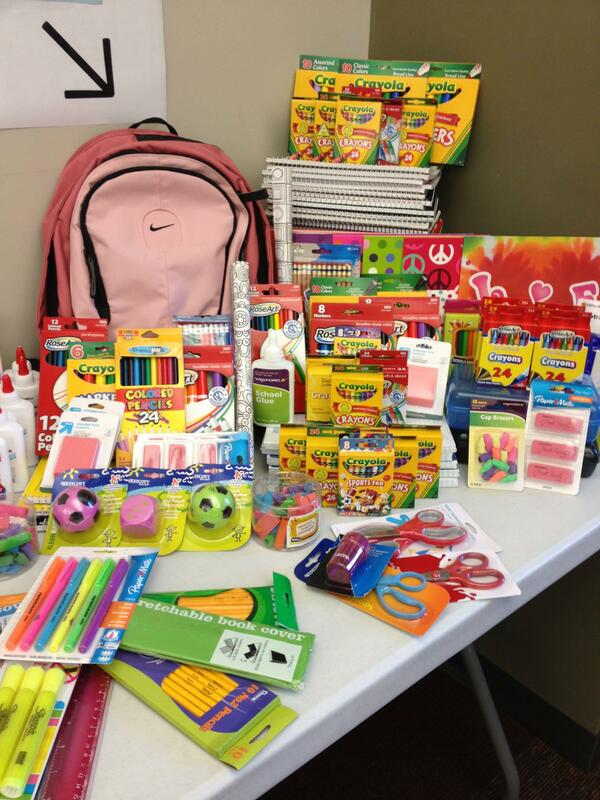 In the past, Firefly Legal has participated in food drives, school supply drives, 5k Walks, fundraisers and benefits. This time, we decided to do something a little bit different. During the months of April and May, many of our offices participated in an animal shelter drive, helping to raise awareness for the prevention of cruelty to animals. Our Illinois offices concluded the shelter drive at the end of April; in Florida, we extended the drive through May. In donating to the shelters, Firefly associates were able to join forces and make a big impact at local shelters; a cause many of the employees were really excited about and passionate about contributing. The Firefly associates from all of the branch offices were excited to participate. Associates Kristi Lyles of the Affidavits department in Mokena, IL, and Adam Pehas in our IT department of the corporate office donated items to the drive, even though neither currently owns a pet. In South Carolina, Dawn McCoy regularly contributes to the Carolina Hearts Aussie Rescue, and in Illinois, Danielle Loonam volunteers for It’s A Pittie Rescue and even adopted a dog from the organization. Jody Schuldt helped organize the donations at the Mokena, IL satellite office; her team produced a staggering amount of supplies for the Mokena, IL NAWS Illinois Humane Society animal shelter. And that’s just a small snapshot of the folks at Firefly who were excited to take part in the cause. Check out our Facebook page, give us a like, and see why our employees donated and to see some of the many items collected. Firefly Legal is back home after travelling to Bastrop, TX for the NASP Litigation Skills and Management Conference and to Jacksonville, FL for the USFN conference. Both conferences provided infinite amounts of knowledge for attendees, of course a little entertainment, and definitely plenty of networking opportunities. At the USFN conference, Firefly Legal’s Jennifer Dlugolecki showed that process servers care by participating in the Second Harvest Community Service project. Firefly Legal was the only process server that participated in the community service project, which works to fight hunger in Central Florida. Participating in the Community Service project included both a monetary donation and a time donation, as volunteers worked together for the cause. It’s important to Firefly, especially as process servers in Florida, that we are working to help out the local communities of the areas we serve. Here’s the whole crew who stopped by to help with the community service project at Second Harvest. Check out the healthy food at Second Harvest. Volunteers work at Second Harvest. Lots of healthy food was packaged and ready to help fight hunger! Meanwhile, in Texas, Firefly Legal’s Stephanie Irvine was busy working the booth at the NASP conference. The conference provided a lot of informative sessions, with both property and auto tracks, on subrogation topics. Legal Humorist Sean Carter was the Keynote Speaker, providing both tips and laughs for attendees. Jeff Ricke of Hiday & Ricke and Susan Benson of Susan Benson and Associates also provided a great general session about pretrial tactics,strategy, and managing a high volume practice. There were a lot of great tips for those with a smaller firm as well as those with a larger one. Attendees enjoy the welcome reception. Lost Pines hotel view– with horses! Giving back to the community is hugely important to Firefly Legal. This year, we decided to do a traditional canned goods food drive at all of our offices, as well as an online food drive. The participation was fantastic, and we were able to help out a lot of people in our local communities. For our physical canned food drive, our team in Tampa really went above and beyond by gathering SIX boxes for the Metropolitan Ministries. Canned and non-perishable goods were also collected at our other office locations, too. Food pantries in Illinois, South Carolina, Ohio, and Florida will receive the donations. Though we’ve wrapped up our canned goods drive, we are keeping our fundraising page on Feeding America open through Thanksgiving. Feeding America works with large corporate manufacturers to secure food, so they can get more food for the money; every dollar raised will provide eight complete meals. The funds raised through Feeding America will go to a network of over 200 food banks/pantries across America. If you would like to see more pictures, be sure to check out our Facebook page.